The Titan is really about pleasure, the hot tub has a dual speed pump, compact in size and yet has 31 jets making it the number one choice where you have limited space but want a powerful hot tub. 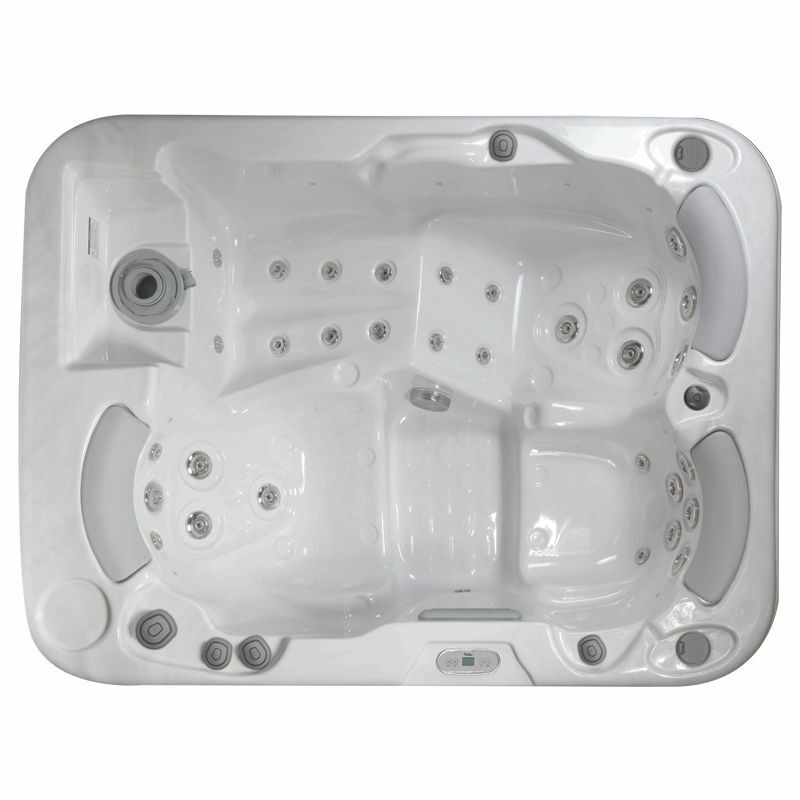 The 3 horsepower pump with two speeds really kicks in and offers the ultimate in relaxation given the compact size, ideal if you are looking for a smaller sized hot tub that will look fantastic in any sized garden. Complete with a built in sound system, the Titan comes with the reputation that Wellis has for great build quality. Offering you peace of mind with guarantees on the structure and mechanics of the hot tub. There are 10 LED lights and superfine filters ensuring that you have the best hot tub experience and the Titan is available to buy from Bay Spas at a fantastic price.